Congratulations on your decision to get married. Whether you’re to be married in Canongate Kirk or elsewhere, there are certain things you will need to know as you begin to make your plans and preparations for the big day…. By law you are required to give Notice of Marriage to the local Registrar at least 28 clear days before the date of your wedding. You might also be required to supply such documents as birth or death certificates, or divorce papers. For Canongate the appropriate Registrar’s office is at The Registrar’s Office, City Chambers, 253 High Street, Edinburgh EH1 1YP Tel: 0131 529 2600. You will need to contact them direct to make an appointment to lodge the forms. All being well the Registrar will issue a Marriage Schedule shortly before the wedding. It should be collected by the bride or groom and brought to me as soon as possible. This is the document that we will sign on the day, and without it the marriage cannot go ahead. It’s as important as that! After the ceremony the Schedule must be returned to the Registrar within 3 days and a Marriage Certificate will be issued in due course. The fee for this process is currently £70. Most couples like to arrange a rehearsal, usually late afternoon or early evening a day or two before the wedding. This is a good opportunity to bring along the Marriage Schedule, and also the other fees required for a Church wedding. These are currently £150 for the organist and a donation of not less than £500 to the church. Ideally this should all be combined in one cheque made payable to Canongate Kirk. If you are a taxpayer and kindly sign a declaration form, we can claim Gift Aid on this at no further cost to you. Also, it is customary to leave flowers in place for the following Sunday service. Prior access for florists should be arranged through the Kirk office. Please be aware there may be another wedding the same day – this is not uncommon and just requires an extra degree of co-ordination. Parking in the Kirkyard should be restricted to official cars, and to vehicles transporting elderly or disabled guests. It is essential that we meet up to discuss such details as the music to which you will come in and go out, and the hymns and readings to be incorporated into the service. You might like to consider the suggestions on the back of this leaflet and/or contact our organist through the kirk office on 0131 556 3515 or e-mail canongatekirk@btinternet.com Please let me see the final proof of the Order of Service before it goes to print. You’d be amazed at the number of errors that get past the spell-checker! I, A…now take you, B…, to be my wife/husband. In the presence of God and before these witnesses I promise to be a loving, faithful and loyal husband/wife to you, so long as we both shall live. I will prompt you phrase by phrase – you don’t need to learn the words by heart! But think about them, for they sum up the deep commitment you will make to each other on your wedding day. As time goes on you will need to make arrangements for flowers and photographs etc. Please note that photographs are generally only permitted before and after the ceremony, and during the signing of the register. The day you get married should be the most important day of your life, and the ceremony is more important than the reception! If you have any requests or questions – and soon you will have lists of them – don’t hesitate to get in touch with me at the address below. 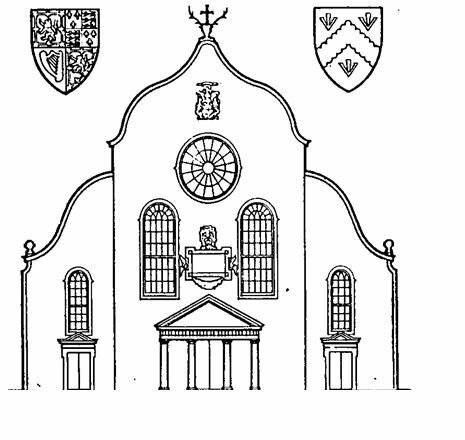 Those getting married are encouraged to consider becoming communicant members of Canongate Kirk as a means, amongst other things, of maintaining a link beyond the date of your wedding and this too is something we can discuss. In the meantime you would be warmly welcome at our 10am Family Service or 11-15am Parish Worship any Sunday. You can download a copy of the above along with extra information from our Wedding Leaflet . We also ask that you complete the Wedding Information Form with details for your wedding arrangements and either email or post to the Kirk office and please remember GIFT AID if applicable.